1. Connect to the Battle.net and you will automatically updated. 3. Use the Warcraft Version Switcher 1.24b. Does this work on 6.62? what the link to update the patch? Well we will have to really check for bugs etc. chances are still pretty big not everything will go flawless. 1.Go to start menu, run! 8.PRESTO!!! 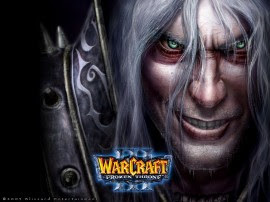 Your patches should ptach your copied Warcraft III!!! ALL BY ME, I FIHURED IT OUT ALL BY MYSELF!!!! I had patched it already. first, my warcraft patch version is v1.22a. I want to update it into v1.24b, which i've downloaded it (about 37Mb) and i downloaded the v1.24a-v1.24b (777kb) too. When i patched the v1.24a-v1.24b, the patch was failed. It said 'unable to patch the game.ddl' or something like that. 1. Do i need the v1.23 patch to solve this? 2. Are the patches' size right(37mb and 777kb))? 3. If they are the wrong one, then what size are the right one? oh yeah, i'm sorry that my english is bad. try to use this switcher..
Good day to everyone.. just patched 1.24b, check thrice (1.24.1.6374) just gonna ask how can you shorten the file name.. thx in advance! how to insert the 1.24b in the switcher ? OMG!! It said: An error has occurred preparing the patch. This problem can commonly be corrected by reinstalling the game and trying the update again. If this error repeats then contact Blizzard Technical Support. Please press "OK" to exit or press "Show Details" to see more information about the error.